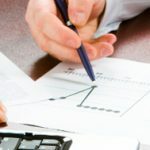 For all the slight engineers out there, the term ballasts and watts might ring a bell somewhere. However, for the people who don’t and them as well, here is a slight touch of knowledge beforehand. 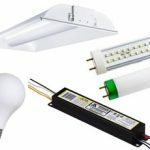 Ballasts are the devices that are used to regulate current to fluorescent lighting systems and provides sufficient amount of voltage to start them. As for watts, watts are a unit of measure of power. This is internationally used and is the product of the voltage across a component and the current passing through it. Usually, in colleges and schools, students use voltmeters and ammeters and correspondingly calculate the power across a device. However, there is wattmeter that directly gives the reading of the power, so they are mostly used. These lights and configurations, which we are about to discuss, are mostly used in gardens and areas where there is some display. You can light up your flower beds in a landscape. 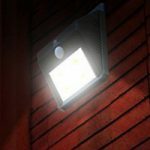 You can even use solar lights and their functionality and take advantage of them as well. 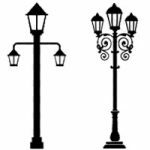 Some of the most commonly used lights are solar lights, 5-watt LED Landscape lights, low-voltage metal spotlight, and pathway lights. So, having established these terms, here are a few frequently asked questions regarding different configurations. 1. Can you use T8 Bulbs in a T12 fixture? Yes. The plug and play ease of approach in regards to LEDs allow direct replacement of for any of the T8 and T12 connections without requiring any replacements or rewiring of the sort. 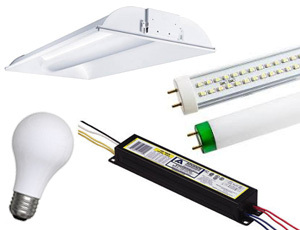 Moreover, the existing LED bulbs can operate in the fluorescent fixtures with ballasts as well that have a 2-pin connection of G13. 2. Can you use a 40 watt bulb in a 32 watt fixture? No. The power consumption of different electrical appliances has to be by one another. In this case, we are trying to use a bulb that has a higher rating than the fixture. 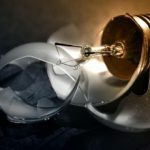 What this means is that the bulb will try to draw current much more than the capacity of the fixture that can damage the fixture or in worse cases, destroy the configuration. Always make sure that the ratings are satisfied. 3. Can I use a 40 watt bulb in a 60 watt lamp? Assuming that the maximum power supported by the lamp is 60-watt and taking it to be the rating of the lamp, you can use a 40-watt bulb in it. This is because the 40-watt bulb will always draw current less than the lamp would in full load that is 60-watt. We can say that we can use the 40-watt bulb in the 60-watt lamp. 4. Can I use a 60 watt LED bulb in a 40 watt lamp? In simple words, yes, but there is a catch. If you can determine that your 60-watt LED bulb used average power less than the maximum rating of the 40-watt lamp, then you are in the good. This is all because of the ratings of things. If the ratings allow you to do so, then you are in the good. Otherwise, it is probably a good idea to keep your distance from electrical appliances. 5. Can I use a 40 watt bulb in a 25 watt lamp? Again, it all comes down to a few basic things. The ratings of things. Always make sure that you get proper rated devices so that things do not deviate that much from the real value. So, using a 40-watt bulb with 25-watt lamp might not be such a good idea. This is because if the bulb draws average power more than the specified rating of the lamp, it could result in shorting of the whole system and can, therefore, destroy the configuration. 6. What happens if you put a 60 watt bulb in a 40 watt socket? A 60-watt bulb is maximally rated to draw current corresponding to the 60-watt power limit. A 40-watt socket is rated to draw current at the maximum value of 40-watt. If a device that requires the more average current capacity of power than the socket is inserted into a socket that is not compatible, then it would result in a short or configuration mismanagement. Yes. The function of the ballast, as described above, is to drive the systems and control the outputs. This particular configuration will power the system and drive it; however, the only issue will be that it will overdrive the lower wattage bulb. This causes the lifetime of the whole system to decrease drastically. 8. Can you use a lower watt fluorescent bulb? Absolutely. Lower watt fluorescent bulbs are becoming a norm these days since everything is moving towards the economically efficient aspects. Low power fluorescent bulbs are used houses and in places where we want dim lighting as compared to the occasional bright ones. 9. Can you use a 100 watt bulb in a 150 watt lamp? Again, as we mentioned before as well, it all drops down to how your system is rated. If your system is rated in a way that the average wattage of it is compatible with your configuration, you’re in the good. Otherwise, many issues may arise such as shorting of the systems to the system not running at all due to lack of power. 10. Can you mix different wattage light bulbs? Yes, you can. Fixtures have their maximum power ratings mentioned when they are purchased. Let’s just say we have a 60-watt fixture. In that fixture, we can have two bulbs of 40-watt and 25-watts each, and there would be no issue. Therefore, different wattage light bulbs can be mixed in different ways. This configuration can be extended to bulbs that have a maximum power usage of 60-watts. 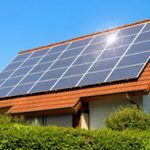 What Is Solar Rope Lights? Find out its Features & from Where to buy it?